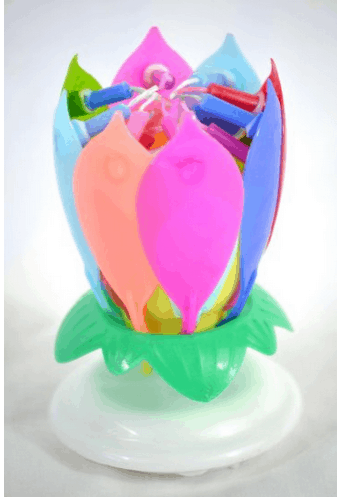 The Amazing Happy Birthday Candle that Blooms! Rarely do I get so excited over a product but this amazing Happy Birthday candle that blooms has me in awe! 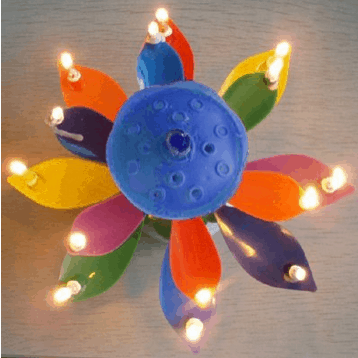 All you do is light the top of the candle and it will bloom just like a flower and start playing the Happy Birthday tune. It’s clever and quite the conversation at birthday parties. Here’s the fun part, there are many different colors to choose from and there are even a few different themes too. They also sell 4 packs too! I will warn you though, if you need this quickly it does not ship fast. It comes from overseas and it will take a few weeks for it to arrive. Order it early if you need it for a certain date. That’s probably the biggest complaint from this candle. Slow shipping is not fun. There are tons of other companies that sell these types of candles but they are not as trustworthy as Amazon. I stick with what I trust. Now, if you are looking for a simple birthday cake idea, you must check out our super easy NO BAKING required Ice Cream Sandwich Cake recipe here. It’s a popular recipe on the blog and many people love it. By Jennifer on September 1, 2018 Amazon Deals, Deals.